today I declare that I will restore to you double. Jesus was a master of the unexpected. The parables, so familiar to us now, are masterful at the sudden twist, the startling comparison, the shocking example. The prophets, too, are brilliant at this: Jeremiah’s underwear. Walking around the temple court wearing a yoke. Ezekiel telling a lurid tale of sexual betrayal. The scriptures are full of the shocking. And they need to be. We are such complacent, rutted people. It is not easy to make us see ourselves differently. Not easy to make us see others differently. Not easy to make us see God differently. And how hard it is to make us behave any differently! The scriptures need to catch us up side the head. There’s no other way to get through to us. So how many of us are prisoners of hope? How many of us are bond-servants of a wondrous promise? How many of us are truly captives to the vision of a world made whole as if it were a conquering hero returning from the battlefield with prisoner/slaves in tow? How many of us wake up each morning and run to serve the promise of a world where peace reigns? We go to bed in despair. We wake up in fear. Hurry to work. Hurry to school. Hurry to coffee and traffic. The alarm clock makes us groan. Dinner is a chore farmed out to whatever I can pick up on the way home. We eat on the run……or we eat alone. Something frozen. Maybe cereal from a box after too much wine. There is no family at the table, no prayer of blessing, no song of joy. We are, most of us, I suspect, captives to the pressures of daily life rather than prisoners of hope. And the people of Judea were captives to the daily struggle and shame of a once glorious city still littered with rubble and now under Persian rule. So the prophet points to the horizon and promises a king – a king no one believes is coming. But he will come. Hidden in a Galilean peasant. Speaking words of grace and challenge. Touching the world with healing and freeing it from evil. Enduring the shame and degradation of the cross, but leaving behind an empty tomb and a hundred and twenty prisoners of hope. They will become millions. And shall we break off the shackles of hope for the shackles of mammon? Will we break off the ties of mercy, compassion and kindness for the sour belief that these shall not prevail? Shall we surrender to the thump of weapons as our true hope? Is it only death and taxes that are certain, not grace and life? Shall we forfeit joy? No. I will come to the table that promises a world gathered to speak the blessing. I will sing the song, and feast the feast. And I will willingly extend my hands to the thongs of hope. A cup of cold water. That’s all it takes to be remembered in heaven: a cup of cold water. The simplest gesture of hospitality to the ambassadors of heaven’s reign will be rewarded. We are emissaries of the new kingship that is come to the world. We go out as runners to announce that the old empire is falling and a new empire marching towards them – an ‘empire’, a dominion, that heals the sick and raises the dead and gathers the outcast and sets free the oppressed. The world of greed and violence and slaveries will not surrender easily; but a new dominion marches through the land, and all who show welcome to that reign shall stand forever in the king’s radiance. We don’t live in the world of rival claimants to the throne waging war and summoning every town and village to declare their allegiance, but we know enough about the dark side of politics and international affairs to understand. There is risk in siding with the insurrection. And risk should you choose wrongly. The inertia is with what is known not what might be. But we are called to be children of what might be. We are called to be emissaries of the one who heals and blesses and gathers and forgives. We are sent as agents of compassion and mercy and truth. We are sent to be healers and reconcilers in a world of death and division. And though the old regime will not surrender easily, the war is decided. The grave is empty. What might be, will be. And the simplest hospitality to the messengers of that kingdom will be remembered and rewarded. will be honored in heaven. 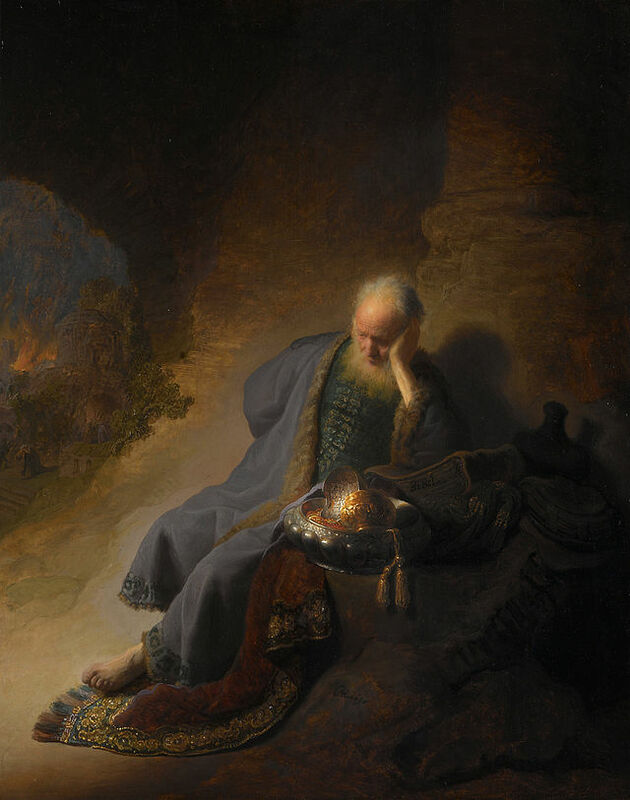 “As for the prophet who prophesies peace, when the word of that prophet comes true, then it will be known that the Lord has truly sent the prophet.” – Jeremiah confronts the prophet Hananiah who has declared that God is about to set Judah free from the hand of Babylon – a message in conflict with the warnings God has spoken through his prophets in the past. “I will sing of your steadfast love, O Lord, forever; with my mouth I will proclaim your faithfulness to all generations.” – In a prayer that will cry out to God in distress over the loss of the Davidic kingship, the poet here sings of God’s faithfulness and his promise to David. “Do not let sin exercise dominion in your mortal bodies, to make you obey their passions.” – Countering the objection that justification by faith (restoration to a right relationship with God by trust in and fidelity to God’s work and promise) leads to lawlessness, Paul argues that if we have come under the reign of God in baptism, it makes no sense that we should continue to yield ourselves in service to the dominion of sin and death. The “wages” for serving sin is ultimately death (death came into the world because of Adam’s sin); whereas the “wages” of serving God is the free gift of the life of the age to come. “Whoever welcomes you welcomes me, and whoever welcomes me welcomes the one who sent me.” – Jesus concludes his instructions to his followers on their mission as heralds of the reign of God by affirming that they go as his emissaries. Christ is present to the world in and through their witness, and no gesture of hospitality shown to them shall go unrewarded. It’s easy to preach peace, easy to tell people what they want to hear, easy to tell kings and princes and peoples that God is on their side, that God will bless whatever they have chosen to do. God gave Jeremiah eyes to see all that was wrong in the nation, how far they had departed from God’s purpose of justice and mercy, and that a nation so founded would not stand. God had summoned the mighty power of Babylon to reduce the city to servitude. Jeremiah sees that if they submit to Babylon, though the city will be humbled and the monarchy shamed, the nation will survive. So Jeremiah comes into the temple precinct and royal court wearing an ox yoke, announcing the nation must submit to the king of Babylon. Of course, it is not received well by the king and his sycophants. Such words are treason: aid and comfort to the enemy. It is four years after 597 BC. That’s when Babylon first arrived on the scene, deposed the king, carting him and his entourage – the leading citizens – off to Babylon where they would be his “guests” (hostages, in case the newly appointed puppet king installed by Babylon should entertain notions of rebellion or withhold the required tribute). Ezekiel, by the way, was in that first deportation; Jeremiah remained in Jerusalem. God had a voice in both places. But now the king is entertaining thoughts of rebellion, and Hananiah shows up and breaks the wooden yoke from Jeremiah’s neck. “Two years,” he says, “Within two years God will bring the hostages and all the temple treasures back from Babylon.” God is on our side. God will bless us. God will protect us. We don’t have to change. There is no call for repentance in Hananiah’s message. No need to change. No need to right the wrongs that have been inflicted upon the poor. No need to halt the corruption of power. No need to set slaves free or care for the needy or honor the Sabbath. God is on our side. God loves us just the way we are. We are the greatest nation on earth, God’s chosen people. “I wish,” says Jeremiah. “May the Lord do so; may the Lord fulfill the words that you have prophesied, and bring back to this place from Babylon the vessels of the house of the Lord, and all the exiles.” But this is not the message the prophets of God have been preaching. They have been calling for repentance. For humility. For a change in the direction of the nation. A turn away from their idolatries and faithlessness. Deuteronomy says a prophet can be judged by whether or not his message comes true. But here’s the challenge: if a prophet gives a warning, we can change the outcome by changing our behavior now. If we wait to see whether the warning is true, we cannot avert the danger; it has already come. On the other hand, we can wait to see if a message of “peace” is true. If we trust a prophet like Hananiah announcing prosperity and success, if we listen to the voices that say God is on our side and we need not change – and God isn’t on our side – then nothing but disaster awaits. At the very least, repentance is the safer option. Nothing bad follows from trying to do justice and love mercy and walk humbly with God. But if God is asking for repentance and we do nothing…. So let’s consider a contemporary example: In the Showtime series “Years of Living Dangerously” Washington State Governor, Jay Inslee, said, “We’re the first generation to feel the impact of climate change and the last generation that can do something about it.” If the scientists are all wrong and climate change has nothing to do with human activity, nothing bad comes from taking better care of the earth; but if they are right, ignoring the message brings many bad things. Repentance, changing direction, caring for our neighbor, doing justice, tending God’s garden, defending the weak, providing opportunity for the poor, a little humility before the cosmos – these are now, as always, the wiser course.